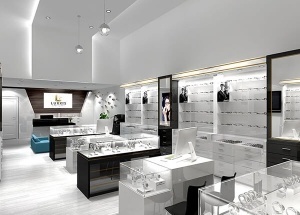 This optical shop design ideas main using white and black optical shop counter display. 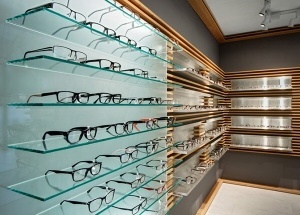 This wall eyewear frame displays are affordable, practical, simple and yet attractive. contact us to get a free quote. 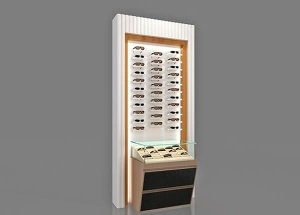 This sunglasses display cabinet is for optical shop wall shelf display. 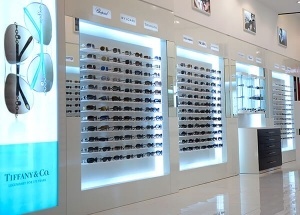 We do eyewear shop design, product optical displays. 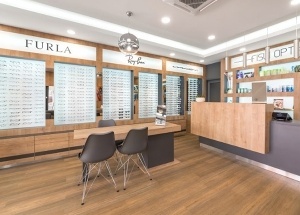 We offers standard laminate and veneer finishes this wall case, and we can also customize finishes to your specification. 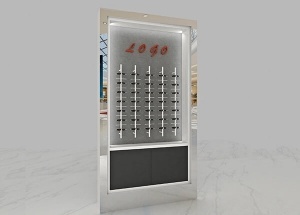 This optical display stands were made for a optical shop project in Italy. 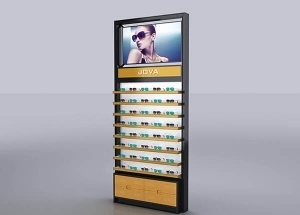 We are optical frame displays manufacturers china, design optical shop, and manufacturing optical frame display stands.